Not long after being forcibly removed the BBC and its insanely popular car show Top Gear, Jeremy Clarkson, Richard Hammond, and James May, along with their producer and apparently most of the behind-the-scenes talent, started a new show of the same ilk on Amazon Prime called The Grand Tour. It takes all of the crazy stunts, wacky humour, and lavish production of its predecessor and ramps it up, making it all that bit grander. But you probably don’t need us to tell you this: you likely already know. And if you don’t, we’re going to just put this out there and say this companion game might not be for you. And if you don’t like the show, then it’s definitely not the game for you. We’ve spent the last few days playing through the opening sections of this rather novel new gaming experience courtesy of Amazon Game Studios, and we’re not entirely sure what to think. Here’s how it works. As of now, we have one episode from each of seasons one and two, plus a single episode from the new third season. You pick your episode, begin watching, and as the episode turns into driving, it seamlessly switches to gameplay. The locales are reasonably well designed, although you’re often only driving down limited stretches of scenery. Essentially, you’re watching the show but taking control in intermittent bursts when the presenters hop into their cars. It ultimately amounts to a series of mini games. As season three of the show progresses a new episode in the game unlocks weekly in line with the TV show. Of course, what this means is that you’ll be watching the majority of the episodes twice – once on TV and then again here with a couple of small intersections of gameplay. You’re unlikely to want to switch from the beautiful streamed version of the show exclusively for these heavily compressed clips – especially if you’re lucky enough to have a 4K HDR TV, as you’ll find no such flourishes here. It’s a cheap little addition and costs just £11.99 in the UK, and we venture to say it’s purely for real fans who want to eke out a little more from the show. In terms of gameplay, it feels decent enough. There’s not a whole lot of differentiation between most of the cars, which is a shame considering you are often asked to repeat sections of the game with each of the presenters in their respective cars. 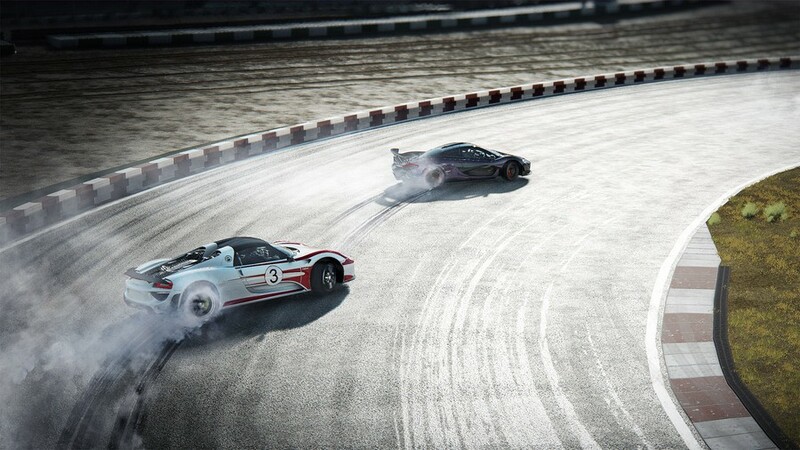 But it feels mostly in line with what you would expect from an arcade racer such as Need for Speed. It’s fast, frantic, forgiving. Each of the presenters shout out their trademark catchphrases as you play, so it at least sounds right, even if the audio mix is quite bad (they clearly just cut the lines from the show and stuck them in here). Like the show it’s also annoying at times – sometimes charmingly so, anyone who enjoys this trio will know what we mean, but it often gets lost in translation from screen to controller. When they play pranks on one another in the show it has a very different impact than when they send you text messages that sprawl across the screen to try and interfere with your lap time in the game. The Grand Tour Game is a strange beast that’s quite unlike anything else we’ve played. It’s by no means a complete game and is a hard thing to evaluate. We’ll be reviewing the title further down the line once the third season of the show is over. What we will say, however, is that it’s at least interesting and a novel experiment in the sudden shift towards interactive TV. We’re at the very least intrigued to see how this one pans out. 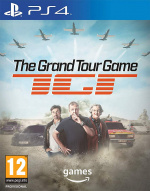 What are your thoughts on The Grand Tour Game thus far? Are you impressed by this unique approach to episodic gaming, or baffled by it? Put your foot down in the comments section below. I'll probably just watch The Grand Tour (or The REAL Top Gear in my head cannon, bloody BBC) and leave the game. GT Sport gives me my car fix. Im interested.....but is their going to be ongoing payments for extra episodes or is it a one off £11.99?? No one has mentioned this in anything i have looked at.. I don’t watch the show but it sounds like at least an interesting take on a somewhat tired genre of gaming. These guys make some of my evenings way less dull. It is an interesting idea for a “video experience”, but i think i’d be annoyed to have to cling to the controller for some sporadic gameplay. It's an interesting idea, just watched someone play through the bulk of episode 3 - the transitions from show to game are very well done. Seems like pretty good value for money really. Might be a good way for me to experience the show. I loved the top gear from BBC days, and I don't have access to amazon prime. Which I'm kinda gutted on missing out on the show. @AuScott @gingerfrog As far as I’m aware there’s no extra fee for each of the episodes, just the initial £11.99/$14.99. So, in a word, crappy in a cheesy, cheap and cheerful way - a bit like the tiresome trio themselves eh? This approach isn't entirely novel. Wasn't one of the Rabbids games just a bunch of episodes of the tv show with occasional minigames thrown in? Mind you, that wasn't episodic and updated as new episodes of the companion show aired, but it's the same basic concept otherwise. Sounds like a clever idea but where it falls down is having to watch each episode twice. I mean, once would be too many times to have to watch Clarkson and co, wouldn't it? I’m actually really enjoying the experience and looking forward to each new episode. The camera is set too far behind the car which makes the floaty steering even worse. But it’s still fun. And fun is the name of the game. It’s also varied gameplay and not all about driving. For that reason I think it works as a great experience and i’m sure it’s not the first time we’ll see this format. Well done Amazon!